CROKE PARK, The 3Arena, Aviva Stadium, Board Gáis Energy Theatre, headlining Vicar Street, 32 million views on YouTube and, gigs in New York, Melbourne, Boston, London, Paris, Edinburgh, and Uganda - Seo Linn have done it all. It is an impressive three years for Seo Linn, the young, modern, Irish trad and folk band who sing as Gaeilge agus as Bearla. As the band said: "We strive to create a sound that serves everyone - Irish speakers, learners, etc." 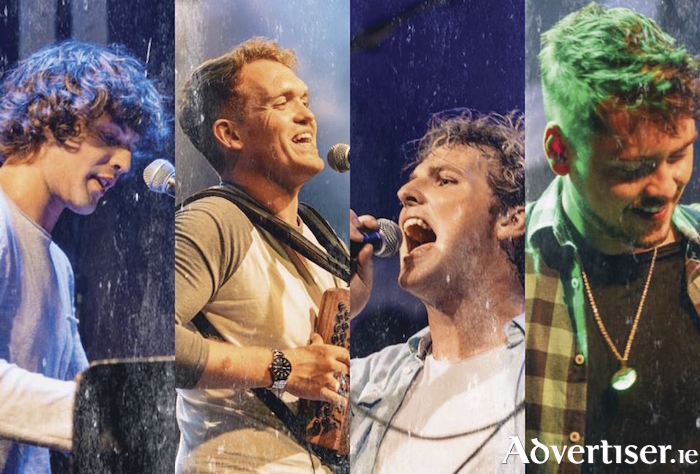 The band - Stiofán Ó Fearail (vocals, guitar ), Daithí Ó Ruaidh (vocals, keyboard, saxophone ), Keith Ó Briain (vocals, bass, mandolin, percussion ), Kev Shortall (vocals, accordion, percussion ) - saw their debut original album, Solas, win the 2018 NÓS Music Awards ‘Album of the Year’. They have won acclaim for their high energy, interactive, live performances. They have spent the last few months touring Australia, are about to undertake an Irish tour, and then will head to the US for a series of shows. Music and snow in June?